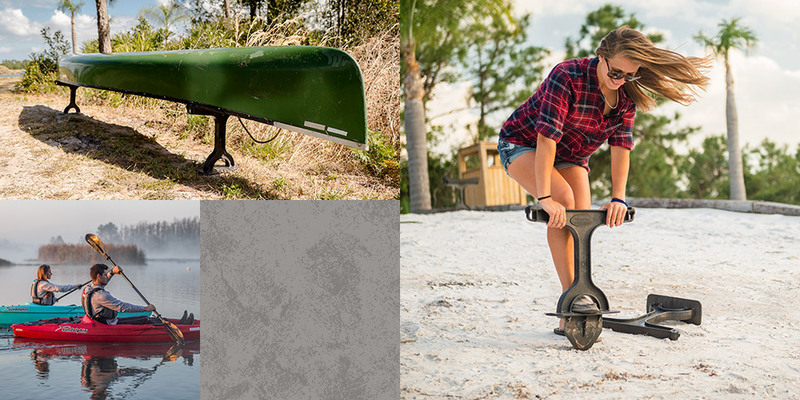 The Shore Tee by FootStake is a new yet simple solution for canoe and kayak storage. 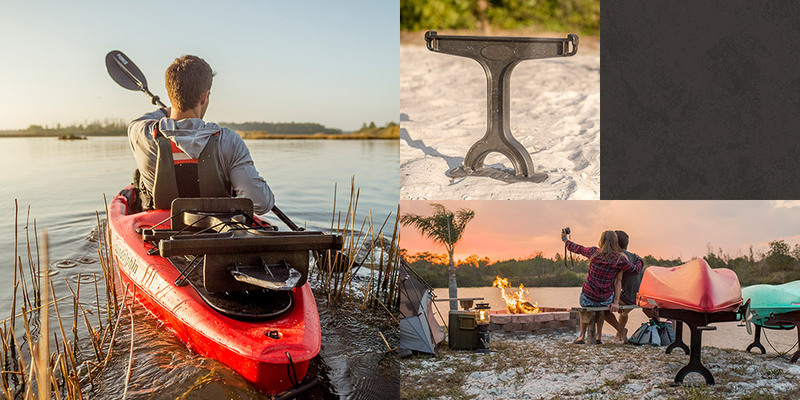 This portable and affordable system is the vital piece of gear that kayakers, canoers, and outdoor enthusiasts have been missing. 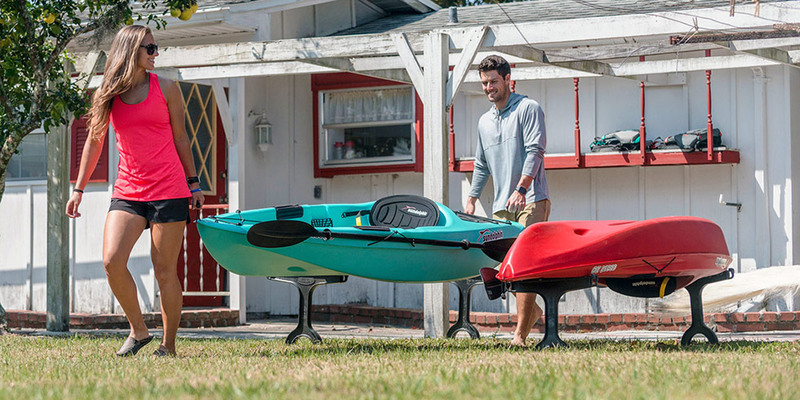 This innovative boat rack is a straightforward solution for at-home storage. It’s also portable, making it a painless choice for use during any outdoor adventure. The Shore Tee protects valuable boats and boards from harmful elements by keeping them off the ground and out of harm’s way. This allows for essential ventilation which protects them from mold and other dangers. New products are one of Sage Island’s favorite challenges. We love building a brand from the ground up, especially when the product is as creative and functional as the Shore Tee. When it came to designing their website, it was important that we clearly convey the versatility of this product while embracing the company’s love of the outdoors. We also had to make sure that this new product had a separate identity from its parent company, which specializes in home products and serves a different demographic. Finally, we needed to build brand awareness among key demographics using social media, which offers the widest reach and the most opportunity for targeting and engagement. We designed an organized and modern website with original photography. To maintain brand consistency and messaging, we used fun and active images to accurately reflect what the FootStake brand is all about. Our graphic designers worked with professional photographer, Chris Garrison, to organize a photoshoot and take lifestyle photos of the product in action. These gorgeous images showcase the product’s flexibility in different situations and appeal to customers within the target audience. By incorporating these original images into the design, we kept the focus on what truly matters—the effortlessness and convenience of this amazing tool. Many of these images emphasize the color red, which is found in their logo. Not only does this help with consistency and flow, it makes the images and the FootStake itself stand out among the copy. To clearly show users what Shore Tee is and how their product works, our designers and programmers created a site that is clean, visually pleasing, and well organized. On the homepage, large images capture that rugged feel, while calls-to-action guide visitors to the most essential parts of the site. The menu at the top of the website features a directional guide, product details and, most important, a shopping menu. 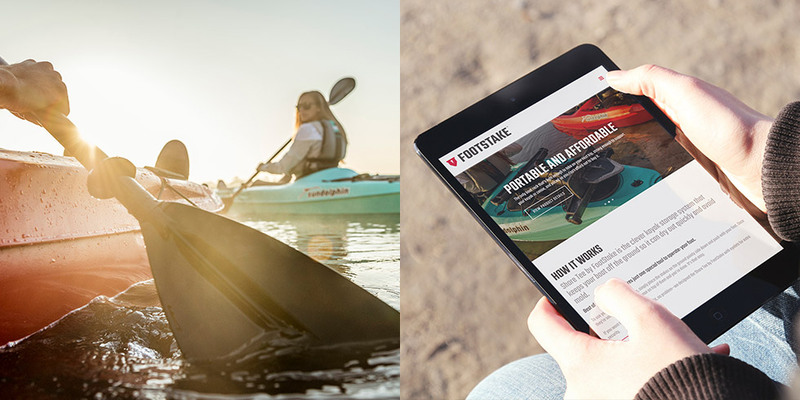 Here visitors can read the company’s story, and follow along on the adventures of Traci Lynn Martin, an avid kayaker and supporter of FootStake. At the bottom of the homepage, a footer with beautiful photos links users to FootStake’s Instagram account. This engaging features encourages visitors to click through and get personal with this company and their product. We created an iconic logo that defined the FootStake brand and established their personality. To create a logo that represented FootStake, the Sage Island team immersed themselves into the outdoor community and lifestyle. It was essential that the logo mark fit the niche of its target demographic, while still reflecting the industry and product. The color scheme was also crucial to this design. We researched the most popular colors of actual kayaks so the focus was on bright yellows, reds, and teal. Ultimately, a unique shade of red was the obvious winner. It’s tough and rugged feel appeals to both genders, and offers the right amount of pop. The signature of the logo was the final piece of the puzzle. We mimicked the actual angles found in the product and customized it to give the signature a polished and modern look. After many preliminary sketches and three rounds of brainstorming a new logo was born. The Shore Tee by FootStake’s emblem is strong, vivid, and adaptable— much like the product itself. We established and continue to maintain a social media presence across multiple platforms. While social media is a fun way to engage an audience, it is critical in today’s world of fast paced technology. Not only does it keep potential clients “in the know” and interested in the product, it is essential for a retailer’s social footprint. The more socially active a business is, the more the company is portrayed as a good online resource for shoppers. For these reasons, Sage Island’s marketing team maintains all the Shore Tee by FootStake’s social media accounts, running promotions that are skillfully targeted toward the niche audience the company wants to reach. These accounts are extremely active and engaged, sharing newsworthy articles, important tips, unique product features, and other good resources on a consistent basis. This allows the FootStake brand to interact with potential customers and helps in establishing important relationships which is essential to this new product. Sage Island’s goal was to build a brand, gain exposure, and engage potential customers. 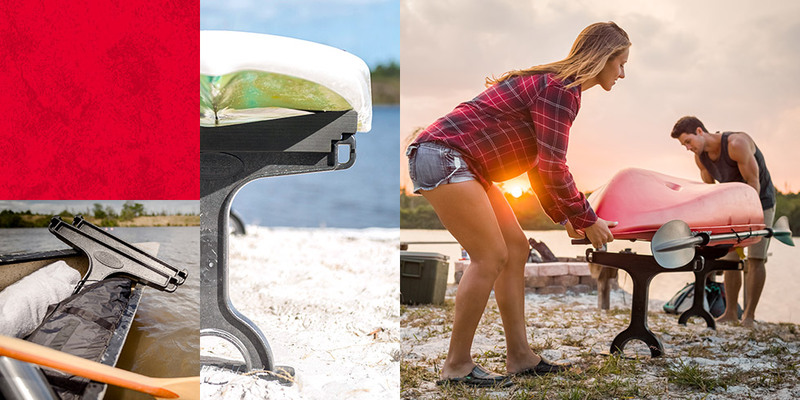 Thanks to our multifaceted approach and keen marketing experience, the Shore Tee by FootStake has taken the outdoor community and social media by storm.